The ubiquitous banana tree is anything but common. Its characteristic, bright green fruit emerge like fingers reaching upwards towards the sky as if desiring to brush the underside of heaven. And it may just succeed in this pursuit. Bananas are prone to prosper. This prolific plant has spread its fruit to every edge of the globe, becoming a food staple for the world over. Bananas' soft, subtle fruit provides powerful sustenance for the young and old alike; the versatility of its leaves can be fashioned for limitless uses, and those blessed to have a banana tree will certainly know good fortune, prosperity, and the blessing of the Divine itself. Bananas can be used in magical workings to increase both fertility and male potency. Being married under a banana tree is said to bring good luck to the bride. Banana leaves, flowers and fruits can be used in prosperity spells. A banana tree planted near the house will bring good luck to the household. Use dried, powdered banana in spells to increase male lust and potency. Due to their phallic shape, bananas are often used in magical practice to represent the God and masculine energy. Carry bananas with you when traveling by air or land for a little extra travel protection. Since bananas grow upwards facing the heavens, it is believed that they carry energies that can improve our spiritual connection and connection to the divine. Make a prosperity soap using dried and powdered banana peels to draw the energies of good luck and abundance. Bananas contain a generous amount of iron, which can help when preventing anemia. Bananas are famously high in potassium, which can help lower blood pressure, keep the mind focused, and help the heart maintain a regular heartbeat. Bananas are incredibly nutritious, containing not only a notable amount of potassium, but iron, calcium, manganese, B6, and folate, among other powerful nutrients. Bananas are high in fiber, which helps regulate the digestive system. It can also help keep you feeling full longer, making it the perfect breakfast companion. Research has shown that children who eat one banana a day have a lower risk of developing asthma. Bananas are considered a BRAT food (bananas, rice, applesauce and toast) a recommended diet when dealing with diarrhea. Bananas contain tryptophan, which can help with memory retention and improving mood. Mix banana with coconut oil, olive oil and honey for a hair mask that can help with shiny, moisturized hair. Bananas can be used to make an excellent face mask. Simply mash up some banana in a bowl, apply the mashed banana to your face, leave on for 15 to 20 minutes and rinse. The potassium and vitamin B in banana is great for the skin and will leave it nice and moisturized. Banana peels are edible too and full of nutrients such as potassium and lutein, which can help prevent cataracts and is good for eye health. Bananas are actually considered a berry. Bananas are native to Australia and Indomalaya. They are believed to have been first cultivated in Papua New Guinea. Bananas are actually slightly radioactive. Because they are high in potassium, they carry more of the isotope potassium-40 than other plants. There are many surprising types of bananas, such as the "hairy banana" which is bubblegum pink and covered in hair, bananas that taste like strawberries when cooked, and even bananas whose pulp resembles orange sherbet. Unlike cultivated bananas, wild bananas usually contain large, hard seeds. Bananas in the grocery store owe their characteristic bright yellow skin to an artificial ripening process. Naturally ripened bananas usually go from green to brown without turning yellow. Banana's name is believed to be West African in origin, and to have come from the Wolof word banaana. Bananas are non-seasonal, and can be purchased fresh all year round. The Banana Pancake trail describes a series popular hiking trails in Southeast Asia where merchants and vendors tend to sell banana pancakes to the predominently Western tourists that come to visit. In South Asia, banana leaves are often used as a biodegradable and eco-friendly form of plate for food. In Hawaii, it was once punishable by death for a woman to eat a banana. In Thailand, it is believed that spirits called Nang Tani inhabit banana trees. They can be either good or evil. In Malaysian folklore, the banana tree is inhabited by a malevolent female spirit called the Pointianak. The Pointianak is a vampire-type spirit, and very bloodthirsty. Rubbing the white part of the banana peel on your teeth can help whiten them. Cut the banana peel into small pieces and put it around your garden to deter aphids. Banana peels can be used to polish shoes and silverware. Wrapping a banana peel around a splinter can help shift the splinter, making it easier to remove. Use banana peels to provide soothing relief to bug bites and poison ivy rashes. Polish your shoes with the inside of a banana peel then wipe clean with a cloth. Banana peels make an excellent, nutrient-rich addition to the compost pile. Rubbing banana peels on areas prone to acne can help clear up blemishes. What Does it Mean to Dream of Bananas? Dreaming of bananas is usually an expression of sexual energy, specifically male sexual energy, or symbolic of fertility. Dreaming of a yellow banana means you are content and happy, and dreaming of a green banana signifies the beginning of something new, or growth in your life. What are Your Thoughts on the Magic of Banana? What do you think about Banana and its wonderful, magical properties? Do you have any other creative ideas on powerful ways to use this fruit? Is there an herb or plant you would like us to discuss? What bring you to this article today? We'd love to hear from you! NDTV Food. (2018). 7 Wonderful Benefits of Banana: How to Include the Fruit in Your Daily Diet. [online] Available at: https://food.ndtv.com/food-drinks/benefits-of-banana-how-to-include-the-fruit-in-your-daily-diet-1216006 [Accessed 20 Apr. 2018]. LD, M. and Wilson, D. (2018). Bananas: Health benefits, tips, and risks. [online] Medical News Today. Available at: https://www.medicalnewstoday.com/articles/271157.php [Accessed 20 Apr. 2018]. Speedyremedies.com. (2018). 8 Beauty Benefits of Bananas and Banana Peels | Home Remedies by SpeedyRemedies. [online] Available at: http://www.speedyremedies.com/beauty-benefits-of-bananas-and-banana-peels.html [Accessed 20 Apr. 2018]. NDTV Food. (2018). Eat the Peels: How Banana Peels Could Help You Lose Some Weight. [online] Available at: https://food.ndtv.com/food-drinks/dont-trash-banana-peels-they-come-loaded-with-nutrients-1203307 [Accessed 20 Apr. 2018]. En.wikipedia.org. (2018). Banana. [online] Available at: https://en.wikipedia.org/wiki/Banana [Accessed 20 Apr. 2018]. En.wikipedia.org. (2018). Musa velutina. [online] Available at: https://en.wikipedia.org/wiki/Musa_velutina [Accessed 20 Apr. 2018]. En.wikipedia.org. (2018). Banana Pancake Trail. [online] Available at: https://en.wikipedia.org/wiki/Banana_Pancake_Trail [Accessed 20 Apr. 2018]. Plentiful Earth. (2018). 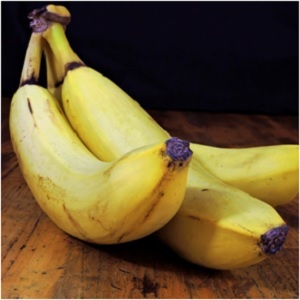 Magickal Correspondences of Bananas | Banana Materia Magicka » Plentiful Earth. [online] Available at: http://plentifulearth.com/magickal-correspondences-bananas-banana-materia-magicka/ [Accessed 20 Apr. 2018]. 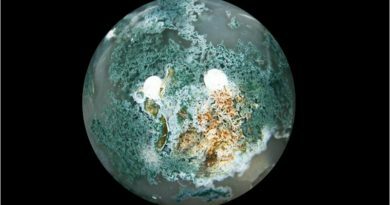 AlchemyLab.com. (2018). Alchemical Properties of Foods: Hundreds of Foodstuffs Classified According to Their Elemental Nature - AlchemyLab.com. [online] Available at: https://www.alchemylab.com/guideto.htm [Accessed 20 Apr. 2018]. Exemplore. (2018). A Witch's List of Magickal Foods and Their Properties. [online] Available at: https://exemplore.com/wicca-witchcraft/Wicca-in-the-Kitchen-Wiccan-Food-List-Foods-and-their-Magical-Properties [Accessed 20 Apr. 2018]. Symbols.com. (2018). Banana. [online] Available at: http://www.symbols.com/symbol/banana [Accessed 21 Apr. 2018]. Patterson, R. (n.d.). A kitchen Witch's World of magical food. Auntyflo.com. (2018). Banana. [online] Available at: https://www.auntyflo.com/dream-dictionary/banana [Accessed 1 May 2018]. wikiHow. (2018). How to Use Banana Peels. [online] Available at: https://www.wikihow.com/Use-Banana-Peels [Accessed 1 May 2018].